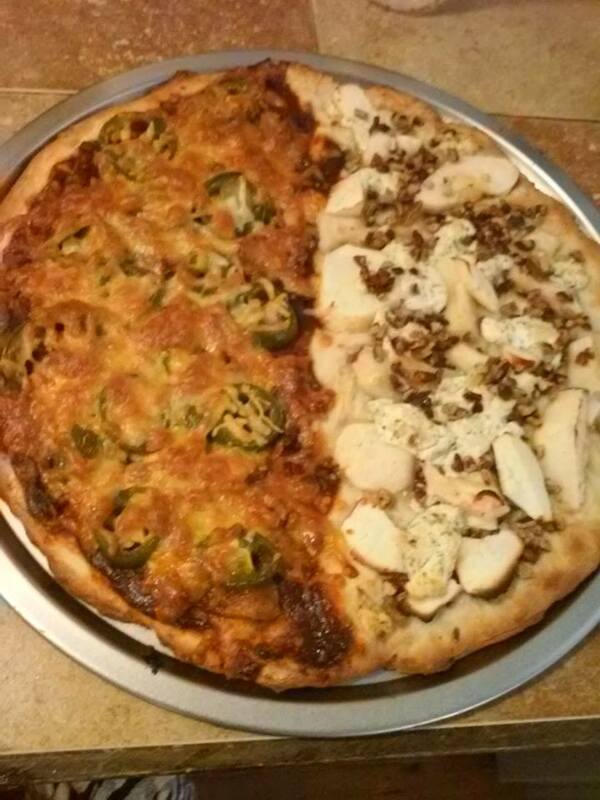 A Heep of Everything: What's On Your Pizza? I think that food is a universal language Everyone, regardless of where they live of where they were born, needs to eat. One of my favorite foods, or perhaps even my most favorite, is pizza. I also like exchanging and collecting postcards from all over the world. So, I combined both of these passions. On my profile on Postcrossing, a postcard exchange website, I asked the question: If your country has pizza, what do you like on it? I asked people to answer that question on the postcard when they send it to me. Not everyone who sends me a postcard replies, of course, but I do have an impressive list of international favorites. I must say, I was surprised how many countries have pizza. Here are the responses I have received, in alphabetical order of the sender's country of origin. My favorite pizza would have ham, pineapples, onions, green peppers and no cheese. However, I never order it this way because toppings cost money. I compromise and get Canadian bacon (for some reason, our pizza place does not have ham), pineapples and no cheese. I have nothing against cheese, but I tend to enjoy artisan cheeses and am not fond of the corner-cutting (aka: cheap) cheese most pizza places use. I would much rather enjoy tasting the toppings and not have them buried. If there was goat cheese available, I would order my pizza with goat cheese, however. Tom is more traditional: He likes bacon and sausage (with cheese, of course). On the occasions I've made pizza at home, I really went out of the box. My favorite homemade pizza the way I make it has honey, apples, walnuts and goat cheese. By the way, the picture I used for this post is of said homemade pizza. Can you tell which is my half, and which is Tom's? Anyway, if you think my tastes are weird, I refer you to the international list above! But really, what do you like on your pizza? How fun that people answered your question! I think Goat Cheese would be a good topping. I might have to make that sometime. I'm sure Italian readers cringe when they read about these toppings, Alex. Italians are master pizza makers and if they don't put it on a pizza, it doesn't belong there. I like Hawaiian pizza--ham, pineapple, sauce and lots of cheese, extra cheese pizza and margherita pizza, preferably with cheese and sundried tomatoes.